Does what is true depend on where you are? or, can we speak of a British culture which varies gradually over the 600 miles from one end of the island to the other, with currents gradually mutating and turning into their opposites as they cross such a distance? 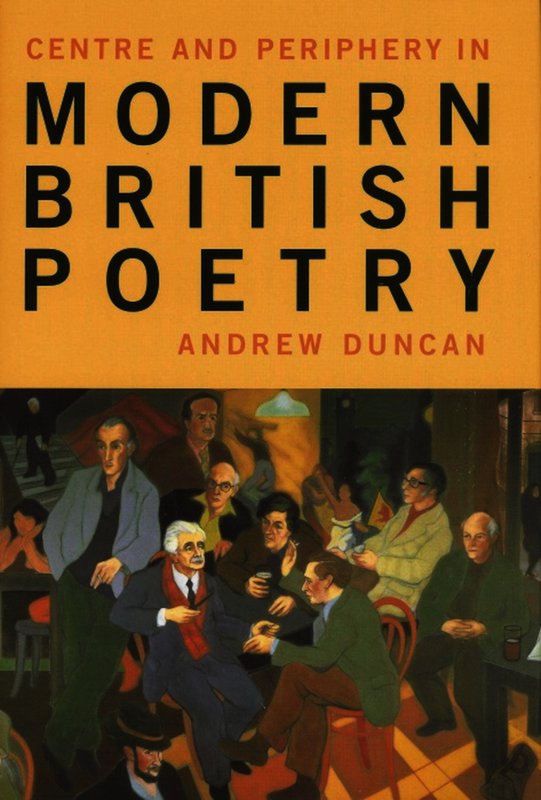 In Centre and Periphery in Modern British Poetry Andrew Duncan (a published poet himself) identifies distinctive traditions in three regions of the Britsh Isles providing a polemic tour of Scotland, Wales, and the North of England while revealing the struggle for ‘cultural assets’. The book exposes the possibility that the finest poets of the last 50 years have lived in the outlands, not networking and neglecting to acquire linguistic signs of status. Centre and Periphery in Modern British Poetry provides insightful accounts of major poets such as Sorley Maclean, Glyn Jones, Colin Simms, and Michael Haslam. Andrew Duncan is a poet and literary critic. Between 1992 and 1998 he was editor of the poetry magazine 'Angel Exhaust' and is a regular contributor to 'Poetry Review'.